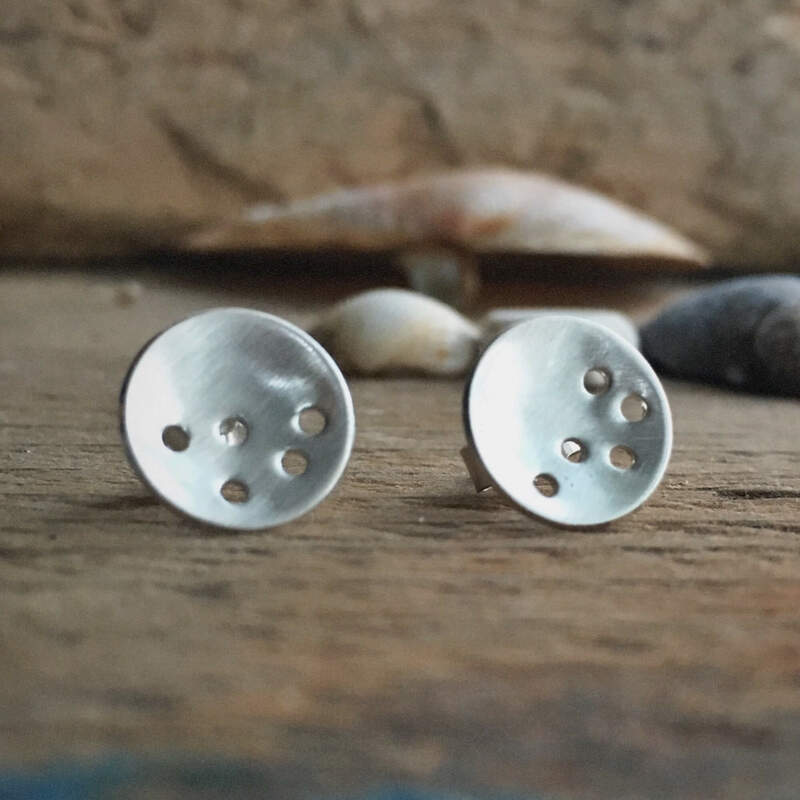 The holes stud earrings are hand made from recycled silver. 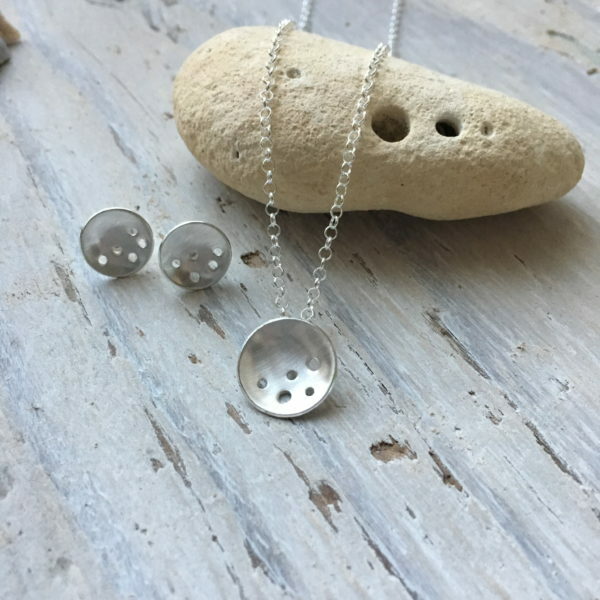 The cups of silver measure approximately 10 mm in diameter and are given a lovely brushed finish and feature random holes. They are on sterling silver posts with sterling silver butterflies. 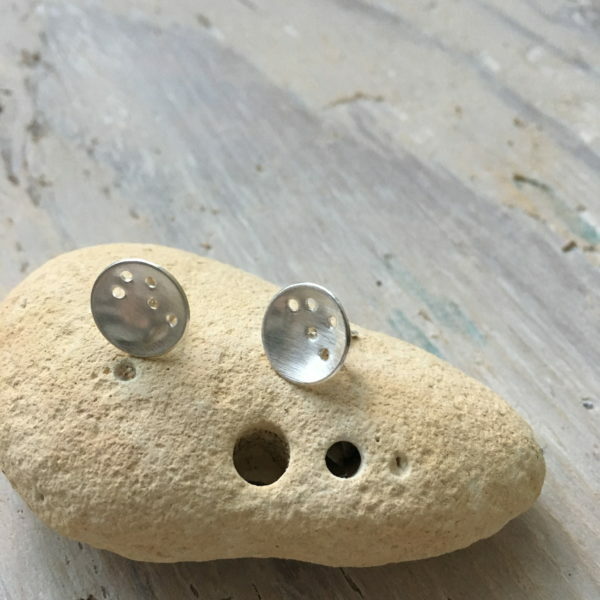 These earrings are inspired by the holes in beach pebbles, and are a lovely reminder of a day beach combing.